Thanks to the posts about my own cancer, I connected with Kaz Molloy, a uterine cancer advocate in the UK. There, uterine cancer is known as “womb cancer.” Kaz says there’s very little awareness of this kind of cancer in the UK. She shares her story with Friend for the Ride. Take it away, Kaz! When I was diagnosed with womb cancer, or endometrial carcinoma, to give it its medical name, on 23rd Dec 2009, I had never heard of it. I had to ask where my endometrium was!! Little did I know then that many women who are diagnosed with it have never heard of this cancer either. My cancer diagnosis came out of the blue; I had gone for an MRI scan to determine the size of fibroids that had been picked up a month earlier by ultrasound. 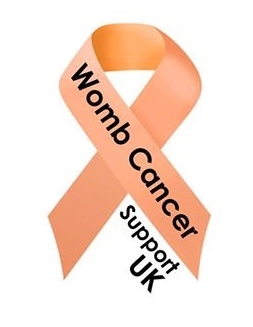 After my treatment ended in July 2010, I started searching the internet for support groups and organisations and discovered that there wasn’t a dedicated womb cancer charity or even any womb cancer support organizations here in the UK, so I set one up myself. 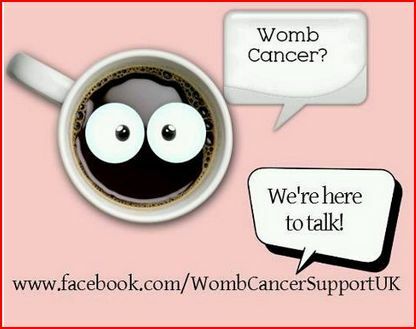 On 11th April 2011, Womb Cancer Support UK (WCSUK) was founded and although it initially started out as a Facebook support group, it has now grown, and we have a great social media network. It became apparent soon after I started the group that there were indeed other women like me who had never heard of womb cancer, and so we decided to start raising awareness as well as supporting women who had been diagnosed. Womb cancer is the 4th most common female cancer in UK, with almost 9,000 women a year being diagnosed. There are more women diagnosed with it than either cervical or ovarian cancer, yet unlike the others two, there is no national womb cancer awareness campaign. There is very little awareness about this cancer – indeed I was shocked to discover that many women believe that a smear test would pick it up; sadly many of us that have been diagnosed had clear smear tests only a few weeks before being diagnosed. There is also the misconception that womb cancer only affects post-menopausal women, and I know of many women in their 20’s and 30’s who have struggled to get a diagnosis because their GP keeps telling them that they are “too young” to get womb cancer! We have women in their early 20’s who have been diagnosed, and indeed we have recently lost 2 young ladies in their early 30’s who died as a result of womb cancer. In the absence of any national awareness campaigns we have taken it upon ourselves to produce and distribute awareness leaflets around the UK. It is very much a grass roots level approach as the organization has no funding and is run entirely by myself from a small island off the west coast of Scotland! We rely on women taking leaflets into their GP surgeries or clinics or displaying them in other appropriate places. As we approach our 4th Birthday, I am so proud of what we have achieved. The women who are part of WCSUK are strong, positive women, and despite many of them being on their own personal journey through a cancer diagnosis, they are always there for each other to offer support and advise or just a shoulder to cry on. We are determined to do what we can to raise the profile of womb cancer and spread the word about the risk factors and the signs and symptoms to be aware of. We will do what we can because we have to. Peach Sisters Rock! Here’s the link to the WCSUK website. 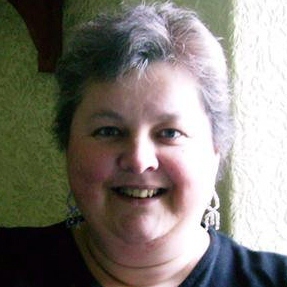 My name is Kaz Molloy, and I was diagnosed with womb cancer, stage 1 grade 2 on 23rd Dec 2009 when I was 46 years old. I had a total hysterectomy followed by chemotherapy and then external radiotherapy. My treatment ended on 12th July 2010. I live with my husband on a small island off the west coast of Scotland, and it’s from here that I run Womb Cancer Support UK, which is an online national womb cancer support and awareness organization.